Microsoft’s OneDrive for Business storage, of 1TB (one terabyte) comes with each seat licence of their Office 365 subscription service. They work brilliantly together and ability for Office 365 to enable real-time collaboration for files stored in the cloud is very often worth the cost of the subscription on its own. If though you’re in a position where you’re the only person who opens and accesses files and documents, and if you’re in a place where your Internet bandwidth isn’t very good, or you even have to rely on a 3G or 4G network then the default operation of always opening the online copy of a document, even when you have a local copy stored on your PC, can be frustrating. What can make matters worse is that Office 365 sometimes doesn’t play well with VPNs (Virtual Private Networks) should you happen to use on on your PC, meaning it can even refuse to open files at all. It is possible though to force Office 365 to always open the locally stored copy of a file, and OneDrive will later upload any changes when it performs its next sync. Open the OneDrive app from its cloud icon in the Windows Taskbar System Tray, and then click the three dots icon. 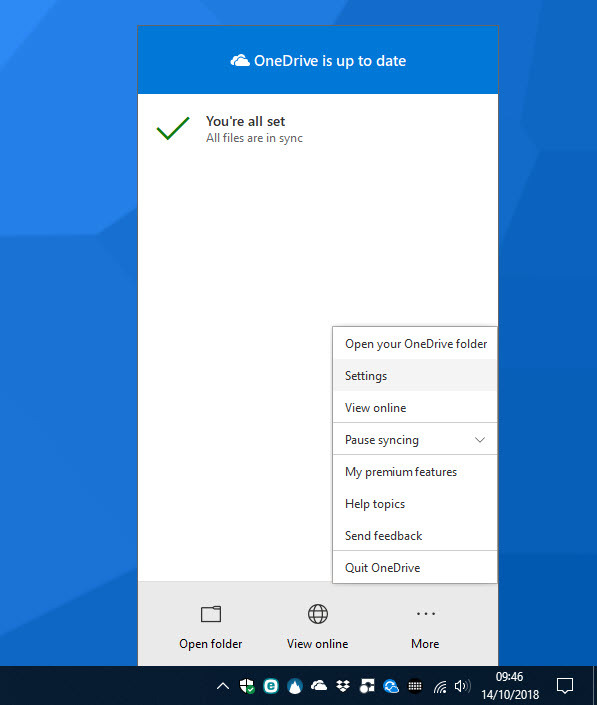 With the OneDrive options menu open, click Settings. When the Settings panel open, click on the Office tab and to force Word, Excel, PowerPoint, Access and the other Office apps to always open the locally-stored versions of your files, just uncheck the Use Office to sync Office files that I open. Then click OK to save the setting. 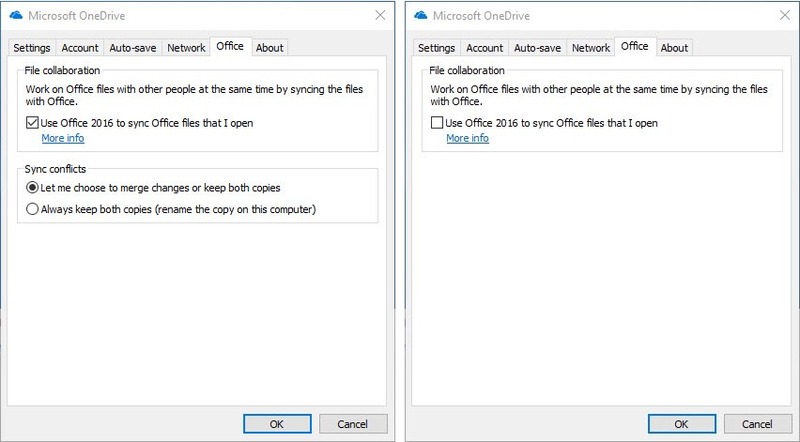 Office 365 will now always open the copy of the file or document that’s stored locally on your PC, which can speed up opening documents when you don’t have very good broadband, and can potentially save small amounts of valuable bandwidth if you are on a metered connection.